Members of the junior class enjoy spending time together and with their fathers at this special event. 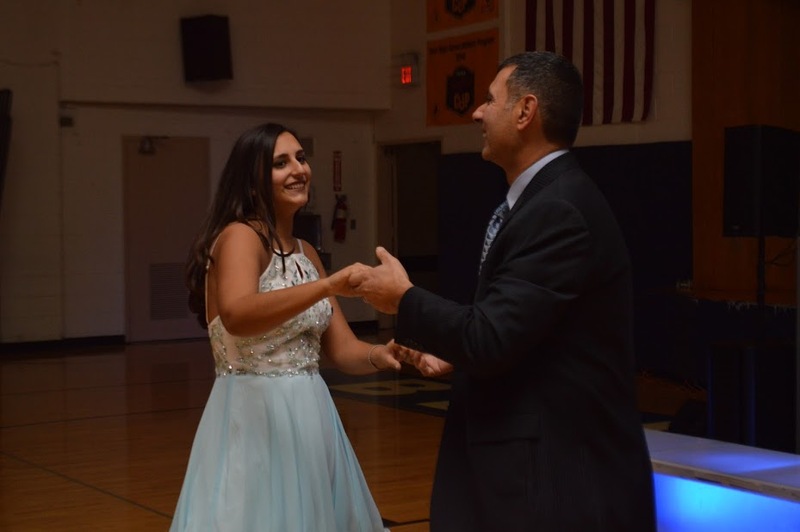 On February 27th, IHA had its annual father daughter dance. There were girls of all different grades there with their fathers, uncles, or even older brothers. The night started out in the cafeteria with picture taking and socializing with other daughters and their fathers. There was also fantastic food catered by Brownstone. The girls and their fathers sat together eating, talking and wondering what else was in store for the night. After two hours of dinner and socializing everyone was brought downstairs to the gym where there was a DJ and dessert tables. The gym was decorated beautifully with fairy lights and backdrops of a winter wonderland. Everyone danced the night away, even if they were a bit embarrassed. All the dads tried their best not to embarrass their daughters while the daughters tried to let go and have some fun with their dads. It was a special night for everyone, and whether it was their first or last IHA father daughter dance, everyone had a great and enjoyable time. It was a very special way for daughters and fathers to bond and have a fun carefree night. However, there were mothers volunteering and running around all night trying to make sure everything went perfectly. 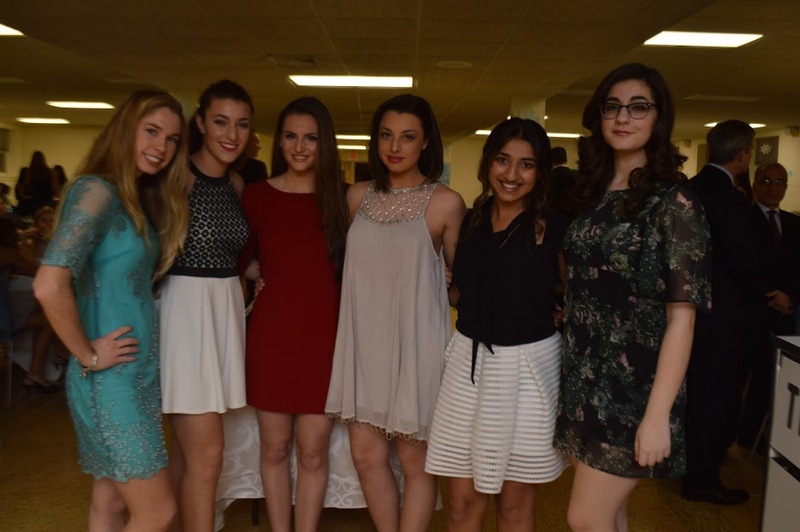 They worked extremely hard to make the night amazing for everyone involved. They also watched from the balcony and saw all the fun their daughters were having. Everyone who was at the dance agrees that it was one of the best ways to spend a Saturday night. Most girls would not be seen dancing to Justin Bieber’s Sorry with their dads but IHA girls are not afraid to show that they love spending that time with their dads, even if you may be bright red with embarrassment! To Kill A Mockingbird is Coming to Broadway!